St. Elmo, Colorado is no longer an actual town with physical inhabitants. However, it is rumored that many of the previous residents of this particular area reside in this ghost town as spirits. Nestled at the base of chalk creek, quite a few of the original structures have been carefully preserved in an effort to provide a natural account of the history of the area. The town today is actually privately owned. While there are a few living individuals that reside around this real ghost town, there are none in the midst of the town. 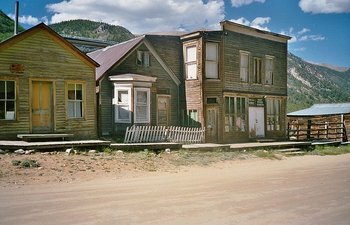 Here, you will learn some interesting facts regarding the ghost town of St. Elmo, Colorado. The town today of St. Elmo, Colorado, has a few interesting structures that still remain for the viewing pleasure and enjoyment of visitors. You can visit the store that focuses on providing general merchandise while visiting. It is normally open from May to October annually. You can observe a beautiful wood church full of historical moments, some cabins, a building that was used to educate children, and many other interesting buildings! While fire and other events have destroyed a good half of the town, individuals are working to restore and renovate the town slightly. Not only because of the attraction of history, but also the attraction of rumored ghosts in the St. Elmo, Colorado. •	One guest reported observing windows and even doors in the various areas of town open and shut on their own. This was especially true at the hotel in the town. •	A number of “cold” spots that may indicate a hot spot for ghosts have been experienced by many different visitors. •	Personal possessions and other items that were put in one location were always found to be stacked in the middle area of the room the next day – with no reasonable explanation! •	Many individuals have claimed that there is a ghost that sadly peers out of a window in the second floor. It is believed that this spirit’s name is “Annabelle”. •	Strange noises have occurred in several different locations of the town – this is especially true when it comes to the mining area that is close by. •	Many children have been especially frightened to enter this ghost town. It is believed that a previous resident and influential figure among women, Anna Stark was very strict and demanding of her own children, and brought them tremendous mental anguish. Many paranormal researchers believe that children may pick up on this negative and uncomfortable history. •	Children who were playing in the hotel located in St. Elmo, Colorado experienced a scary event. They were simply playing in a room, and the doors shut at once. Once this occurred, the climate in the room reached approximately twenty degrees. •	One particular woman, who was skiing in the area saw a female standing in the window of the hotel in St. Elmo’s. The woman was watching individuals on snow mobiles. When the skier asked them to take it elsewhere, the ghost appeared to approve and walked away from the window. As you can see, a number of paranormal experiences have occurred in this real ghost town in Colorado. 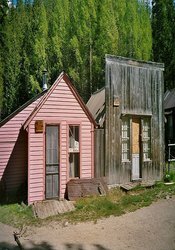 If you are interested in experiencing a ghost town for yourself, St. Elmo’s is a great place to do just that!